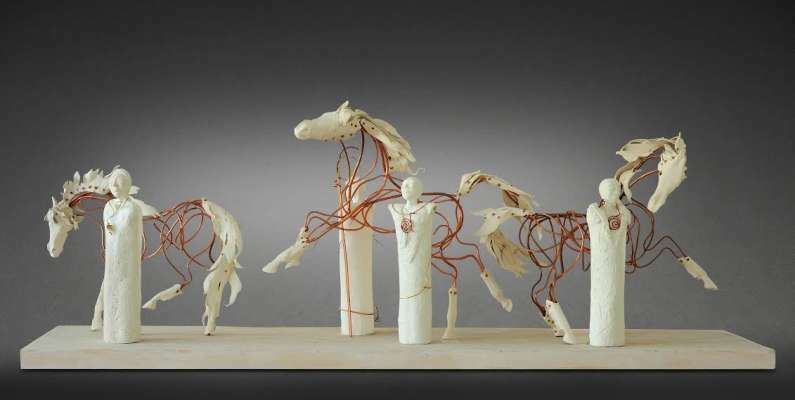 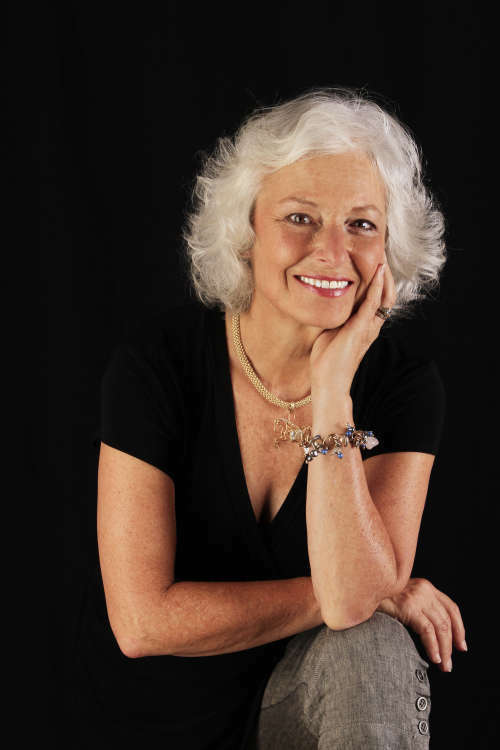 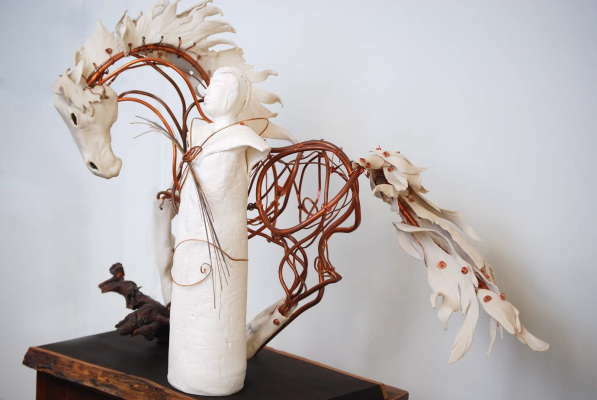 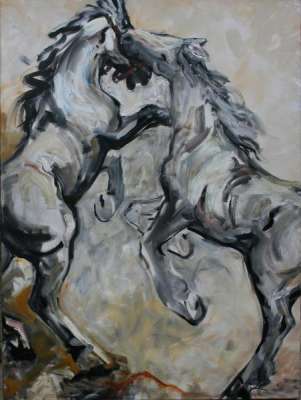 Kate Esplen’s love of horses and her intuitive understanding of their characters inspired her to draw horses, paint horses and make horse jewelry from a very young age. 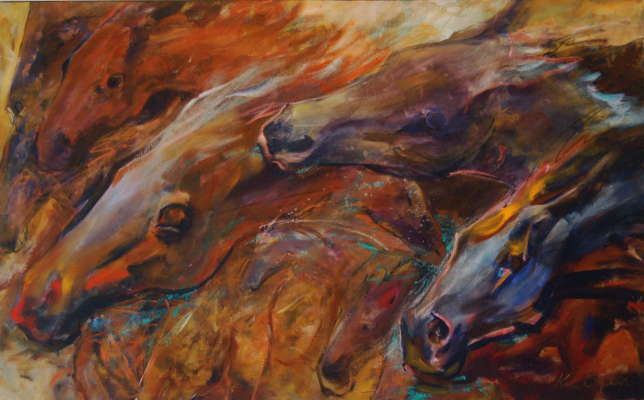 Her artistic expression over the years led her from the photo realistic pastel portraits of the horse’s physical beauty toward more abstract equine paintings that better captured their real essence and spirit. 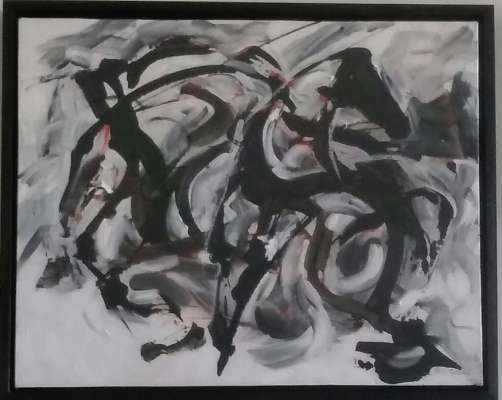 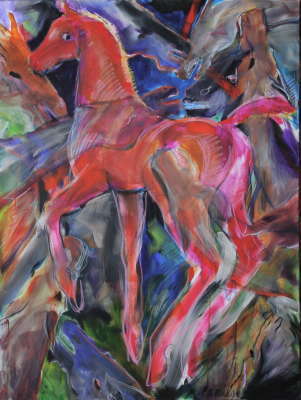 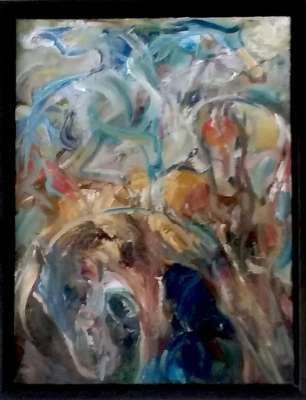 Her abstract horse paintings use line and color which are often mixed directly on the canvas with brush and a palette knife, and the occasional thumb, to capture the horses’ movements. 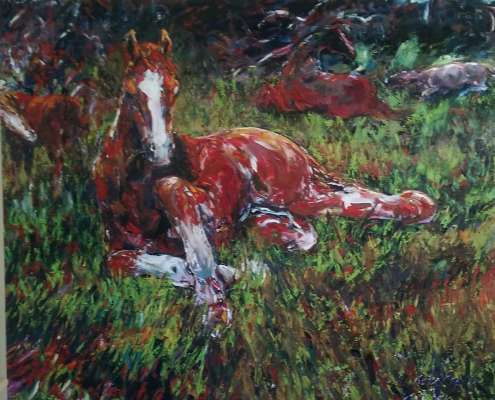 Her knowledge of their anatomy and their herd relationships add an intimacy to all her work. 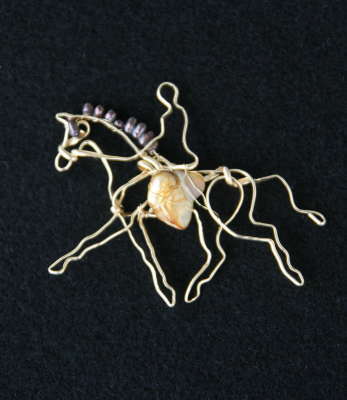 Kate’s one of a kind sculptures have evolved into exquisite miniature works of hand crafted wire equine jewelry in sterling silver, gold and gold-filled wire. 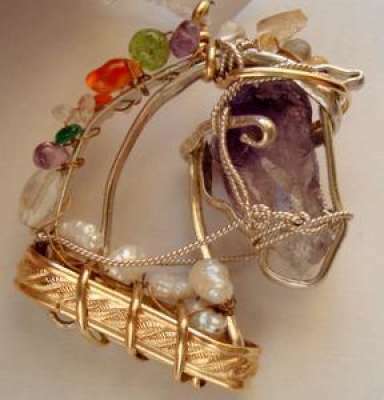 Wearable as horse jewelry, and yet still capturing the essence of the movement of the horse in her unique style. 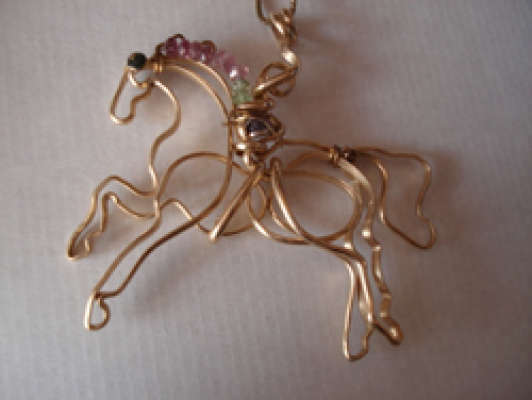 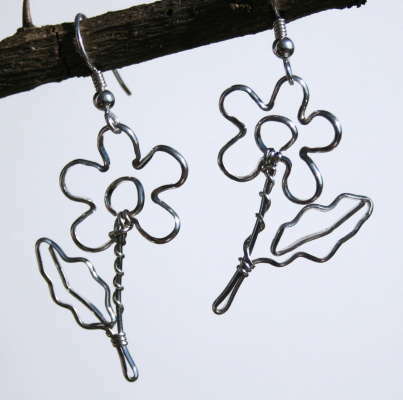 All her fashionable horse jewelry and artistic flower jewelry is skillfully hand crafted and handmade in sterling silver and gold with intricate detail and the highest quality materials. 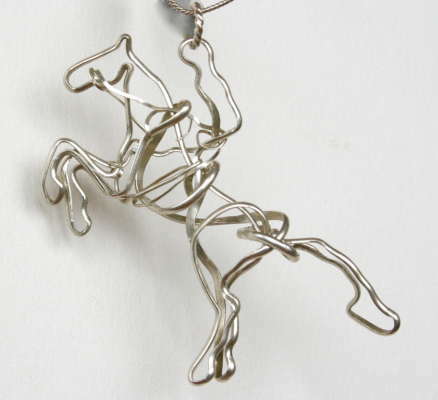 Whether you are looking for an inspired gift horse necklace, an elegant dressage horse pendant, a polo horse in gold wire with diamonds, or an affordable horse birthday gift for a young rider, one of these handcrafted designer pieces will bring delight. 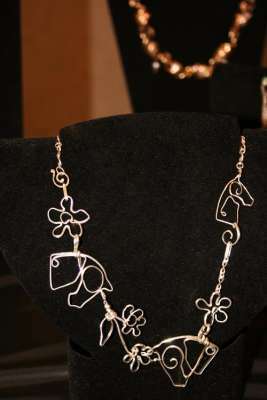 For a horse show or a wedding, every piece is eye catching. 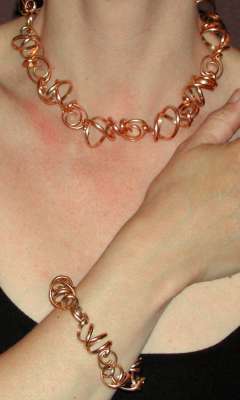 Swarovski crystal bracelet and earring set with pearl highlights, healing gemstones in an artistic swirl of sterling silver, affordable gold-filled wire dressage or jumper competition stock-tie pin, every one attracts attention wherever it is worn.